Canada’s large retailers are cautiously optimistic this holiday season as average growth in last 4 months remains at 3.0 percent over the previous year. The growth headliners of late (either to the positive or negative) are seemingly tapped for new ideas that will produce significant gains. There is one exception, Indigo Books and Music, which in the last two quarters has shown they are wooing more shoppers and shopping dollars back into their stores. Indigo Books and Music achieved Q2 sales of $189 million and comp store growth of 8.4 percent – higher than any one else on the list. Comp store sales are a key performance indicator as this measure excludes sales fluctuations due to store closings, permanent relocation, and chain expansion. In Indigo’s case, operating 6 fewer stores helped to increase its revenues in existing stores. The company’s 90 superstores generated a total 6.0 percent increase (9.6 percent comp increase), while the smaller format locations attributed 2.3 percent revenue growth. Heather Reisman, CEO, indicated in a conference call November 5 that there are no plans to further decrease the number of Superstores that are driving the company’s business – but there is a possibility of expansion. Small stores growth is driven by individual opportunity (i.e. expanding paper category where successful, adding toys where there isn’t competition in the mall, etc.) they aren’t yet part of a larger transformation strategy. With 2.3 percent revenue growth, it isn’t something to be worried about yet. There are two indicators – beyond the strong comp store growth – that are promising for the retailer. 1) The transformational strategy is working. The cornerstone is transitioning itself into Canada’s cultural department store, and growing the general merchandise category is key to achieving this. Now at 27 percent and expanding, general merchandise is picking up some of the slack books left behind. 2) Core books showed great growth, despite the industry’s declining results! Anytime a retailer can continue to grow their core, it means positive results. Teen and children’s books are current driving forces. The cautious approach Reisman takes, despite recent success in a difficult transformation is working. “As I say in every one of my meetings, we still have a long way to have to go to fully achieve what we think the potential is of the business“ she commented on the call. The team at Indigo has been diligently working over the last few years to execute. The design studio in New York brings proprietary accessories and lifestyle home products to the stores each season. The retailer has sought and invested in the best talent. Indigo remains alert, and are beginning to see success while the rest of the industry sees only modest growth. Keep your eye on them in the third quarter. Wishing everyone strong holiday sales. We respect your privacy, and will not share your information. You may unsubscribe at any time. There is room for another entry-level general merchandise chain to compete with Walmart. Target has a bit more to do to get things right. Third quarter comp store sales were up 1.6 percent, looking at just the stores that were open at the same time last year. These results come as the retailer adjusts to the true consumer demand, which is no longer affected by higher-than-normal launch appetite, and sales shifting to new locations. Both are inevitable when opening a lot of stores in a short period. With strong partnerships across categories, including TOMS, the results for holiday may be good. Pricing, distribution and allocation adjustments have been made. 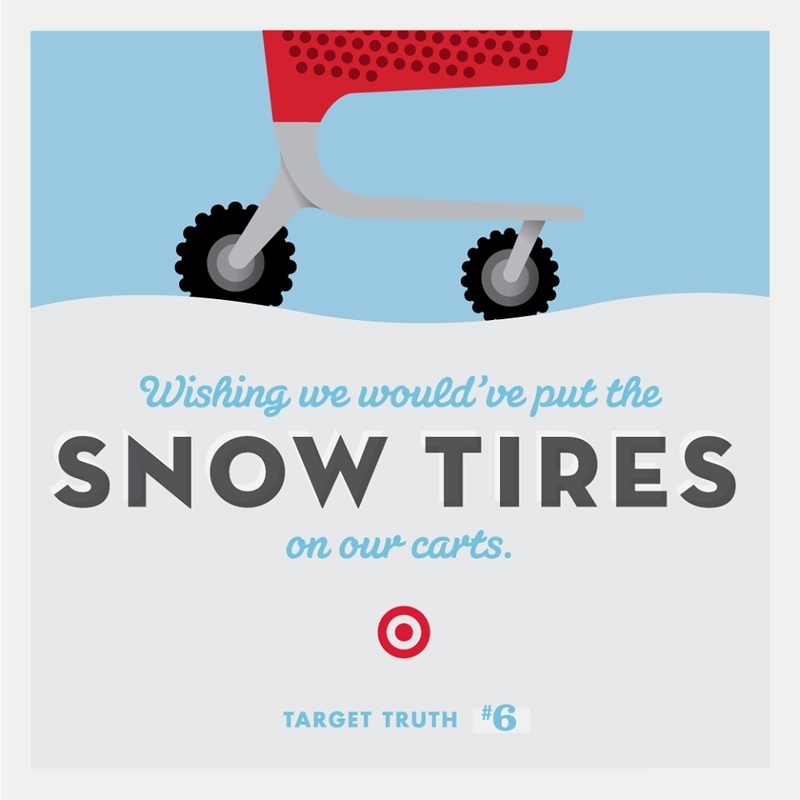 Target may just start to build traction this holiday season. Both Sears and Best Buy are turnaround stories that just haven’t gained momentum. At the end of its third quarter, comp store sales had declined another 9.5 percent at Sears, and Best Buy Canada continues to drag on its US parent. Product tweaks aren’t doing as much for the retailers as needed. – and neither seem to moving the dial quickly enough on key opportunities. Hudson’s Bay has formed (and purchased) some strong partnerships to increase traffic in-store, and move its brand forward in the minds of consumers: Topshop, Saks, and the Drake General Store. Adjustments made to its owned business have had a smaller impact in the customers mind (with the exception of The Room). Comparable store sales in HBC’s Department Store Group (Hudson’s Bay and Lord and Taylor) grew by only 1.1 percent in the last quarter. 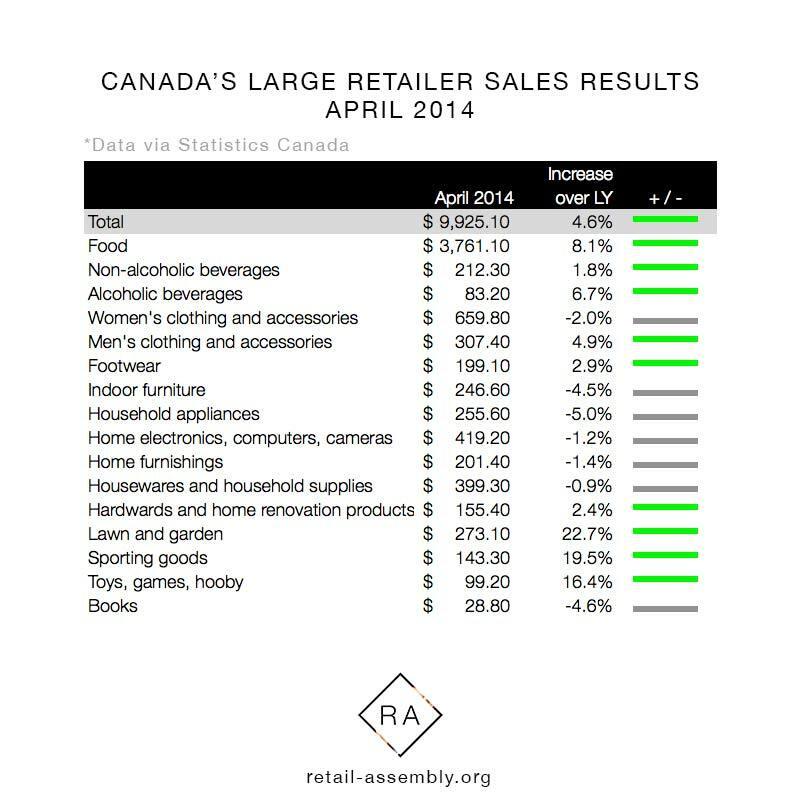 Most business are dragging at the retailer, with bright spots in smaller categories men’s, home and cosmetics. The retailer will continue with it’s one-day sales this holiday – hoping that consumer fatigue or competition for the promotion will not hinder its success. Humming along at about the same pace as the industry, we may not see exceptional results from the retailer. The excitement and growth seems to be from the US, Saks OFF Fifth grew by almost 15 percent last quarter. The team at Indigo has been diligently working over the last few years to execute on their transformational strategy, remain alert, and are beginning to see success while the rest of the industry sees modest growth. READ MORE | Indigo may be the Canadian retail star this holiday season. Target’s expansion into Canada in 2013 was met with high expectations, and a level of excitement, all of which was decidedly missing when Walmart made a similar move in 1994 with the purchase of 122 Woolco stores. The fiscal year generated $1.3 billion for Target, and the team operated with a gross margin rate of 14.9 percent. Although this was below the company’s expectations, considering the volume of openings – 124 in less than a year, these results would be considered a win by many retailers (although operating losses for the next two years are a tough metric to swallow). 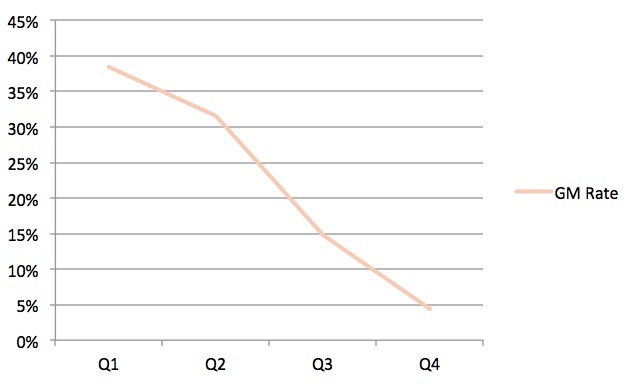 The quarter-by-quarter sales are increasing at a faster rate than the number of stores. However, the concern is the low margin rates in the second half of the year as the retailer began to clear excess inventory. Strangely though, this isn’t what the customer is seeing. Empty shelves have been the widely reported inventory story in the country’s media. At a dinner party this past weekend in rural Ontario, the consensus around the table was that the company was “selling out” of merchandise too quickly because the company wasn’t buying enough. Much of the retailer’s launch shows consumer perception at odds with what the business is telling the merchant and buying team. Initially, Target had indicated that the higher-than-expected demand attributed to the lack of inventory. However, almost a year into business it indicates a larger distribution and allocation issue with the retailer. Is it possible that Target’s sales plans would never have allowed the buyers to fill store shelves? Typically if a retailer is missing its sales plans, as Target is consistent in suggesting, it results in the opposite issue of too much inventory in-store. Pricing perception is another issue that both the media and consumers have embraced. Higher pricing is something Canadians are particularly sensitive to as higher duties and shipping costs often put goods just south of the border 10 to 15 percent less expensive on average. Target has always understood this, and despite multiple pricing surveys indicating Target is on-par with their Canadian competition, consumers believe they are being over-charged for goods compared with US Target stores. 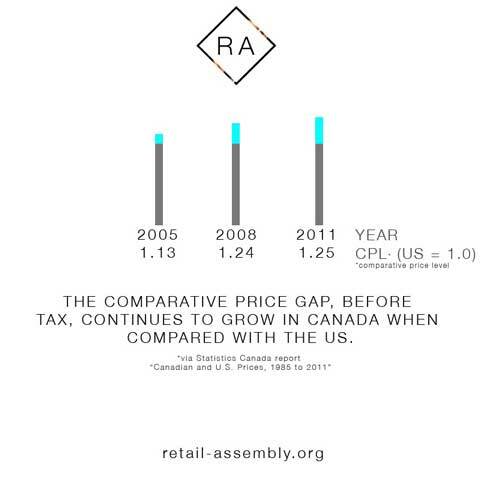 A feature unique to Canada’s retail landscape is the brand and product exclusivity the country’s major players have secured. Unlike most countries, Canada has only one or two national players in each market category. This lockout may have prevented Target from forming key relationships with suppliers immediately in the country. The retailer managed to secure some excellent working relationships regardless, a grocery partner was announced almost immediately and the Starbuck’s partnership soon followed. Many apparel designer collaborations, which Target has become known for, were rolled out in Canada including Peter Pilotto and 3.1 Phillip Lim. Announcements with Root’s Beaver Canoe brand were a bit later, the exclusive home collection not to launch until September 2013, and Aliment du Quebec in the same period. Despite Target’s initial challenges with inventory and distribution, some product assortment hurdles, and diminishing pricing concerns, it’s surprising the Canadian consumer hasn’t embraced the many social efforts of the company.